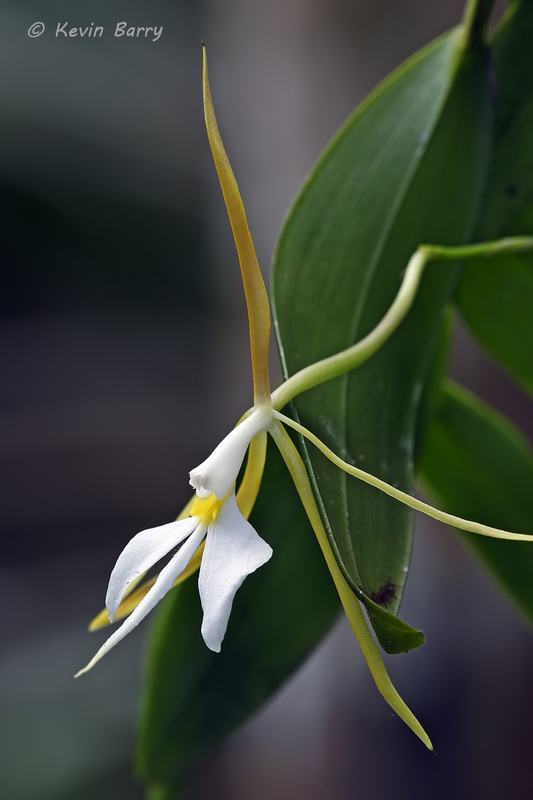 The Night-scented Orchid (Epidendrum nocturnum) occurs in Florida, Bahamas, West Indies, Central America to northern Brazil and the Guyanas. It is usually autogamous (flowers self-pollinate) and sometimes cleistogamous (flowers self-pollinate before they open). This orchid grows throughout the swamps and hammocks in the southern part of Florida on several varieties of trees, including cabbage palm, pop ash, and pond apple. It is an endangered species in Florida. Photo © copyright by Kevin Barry.